Fawn Over Baby: Elephant Themed Party For Baby Max's Naming Day! 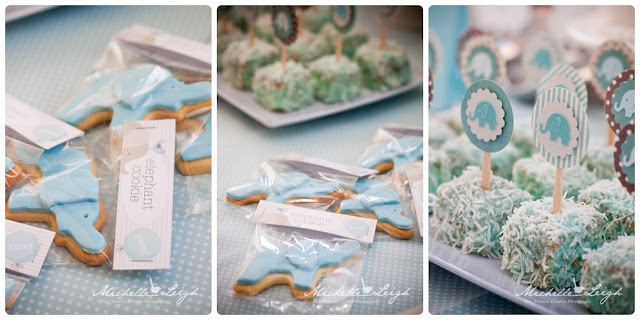 Today I am sharing with you this Delightful "Naming Day" Celebration all the way from Australia. Mom, Sarah not only has an eye for style, she specializes in bringing that style to life with her print and web design and now party stationary and decor at Style Me Gorgeous! 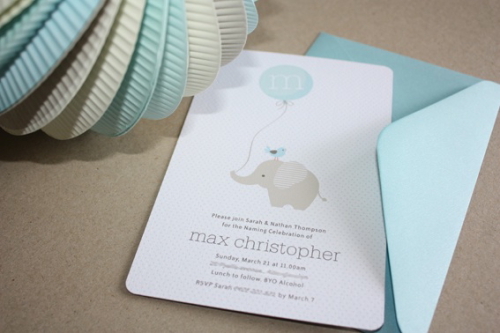 Sarah designed and created the beautiful elephant themed invitations as well as the adorable printables that displayed her artwork so wonderfully. 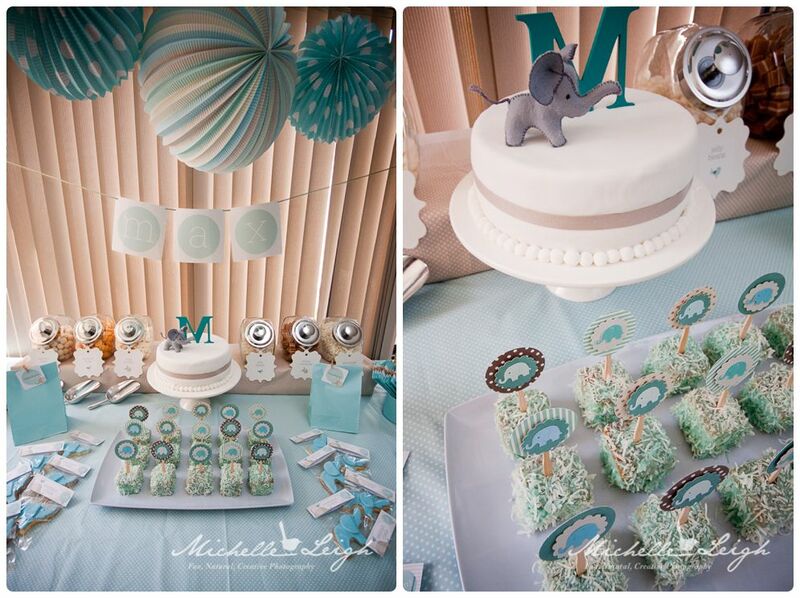 If you would like to bring your baby's next themed celebration to life, visit Sarah's online store at Style Me Gorgeous. 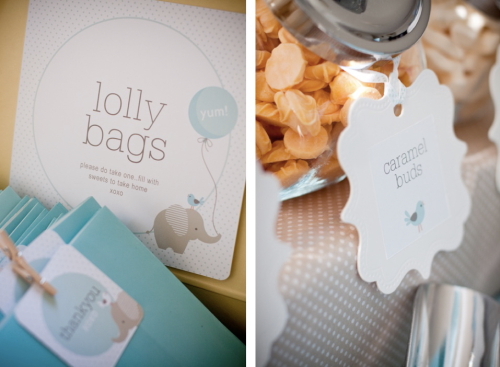 For those first-time-parents, like me who are unsure what a "Naming Day" is. Let me, the obsessive web-researcher explain. A "Naming Day" or "Naming Ceremony" is the celebration of the arrival of a new child into the family. 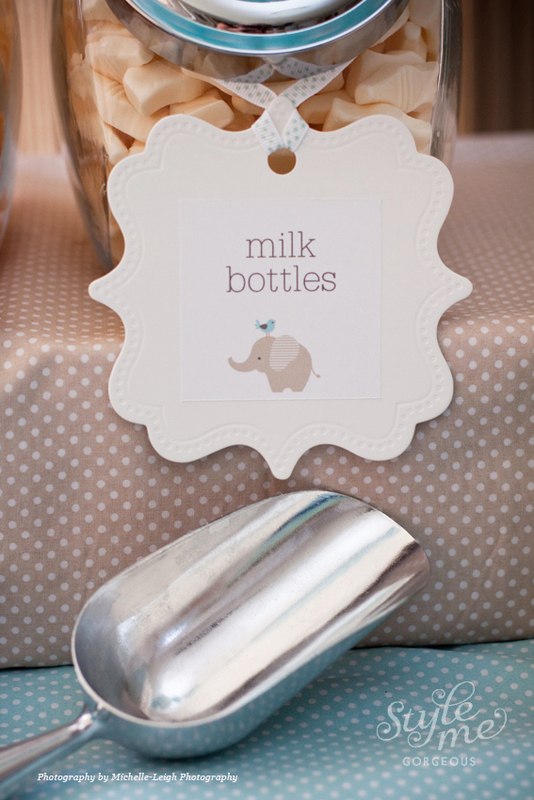 It is a way to officially introduce him/her to family and friends, similar to a "sip and see" that is so popular now. 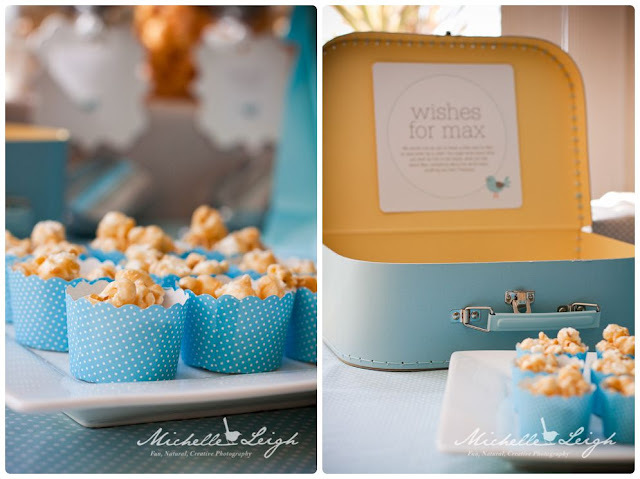 With Leighsa from Michelle-Leigh Photography behind the lens, all of the darling details of this charming affair were captured so beautifully, you will not want to blink! 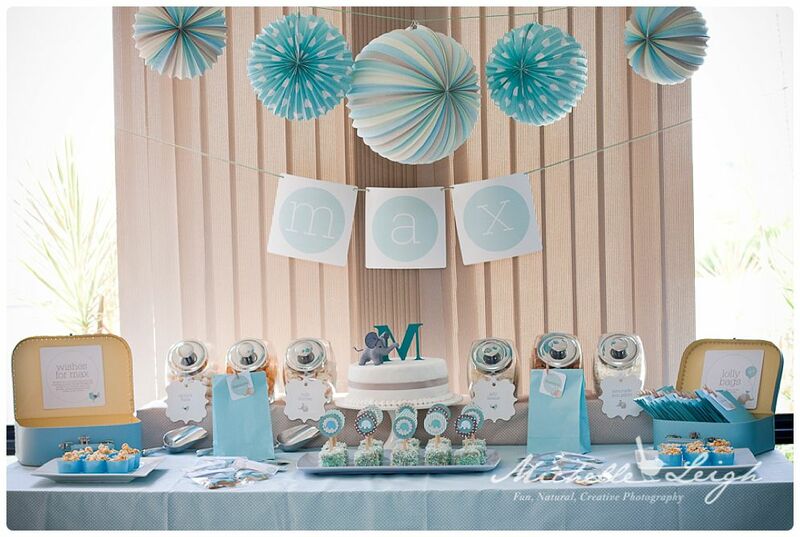 Love the party idea. So cute. I always love the color blue.